Idube sells injection molded, insulated tools manufactured by Hubbell Power Systems and ITL. Information on Hubbell Insulated Tools. 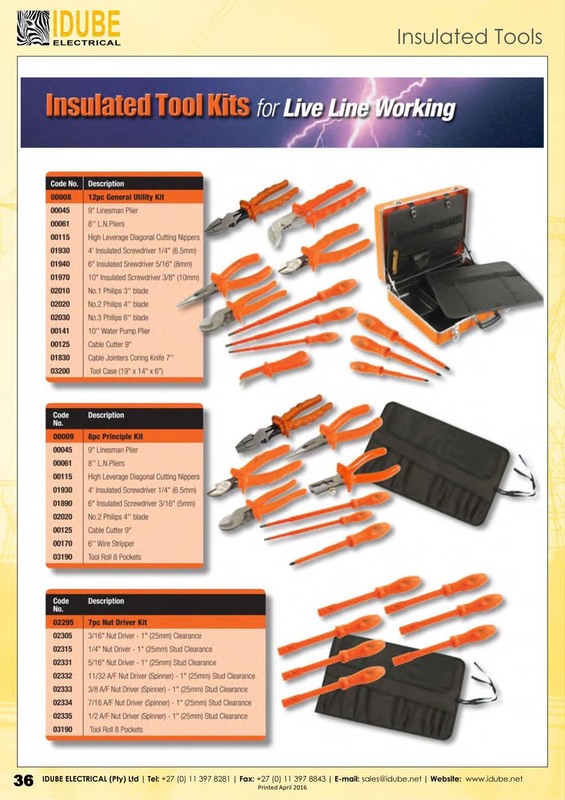 Information on ITL Insulated Tools. The ultimate in electrical and live line protection. ITL manufactures unique, injection molded, insulated tools from Nylon 11. All ITL tools are 100% tested to IEC 60900 and Category C. Which means that they can be used in extreme climates and in the harshest and toughest of conditions. ITL is the only manufacturer of insulated tools that can make this claim. ITL tools are the highest quality and standard in the industry. They are longer lasting and harder wearing with a lifetime guarantee. 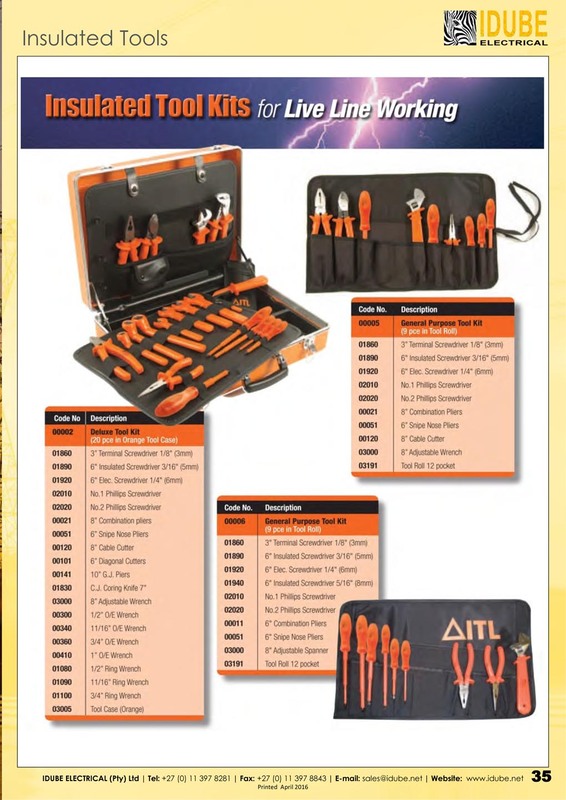 All over the world the professional uses ITL insulated tools. He knows they are the very best. All ITL tools are injection molded and not PVC dipped.